So today I shall be moving from one area of Cardiff to another. I currently live in Roath, which is a popular student/residential area of Cardiff with lots of life and atmosphere. I will be moving to the Heath area of Cardiff which sadly has less character in my opinion but thankfully doesn’t have as many students. Plus I can go back to my old Dr. (Which I hope is still there!) who was lovely compared to the one I see on City Road, who is a little patronizing. I will be living with 3 Professionals whilst I’ll still be a part time student and working. So you may have noticed the lack of posts recently, this is due to my move. I have packed up all my makeup and have left the newest purchases at my parents house for safe keepings. These includes YSL Kiss and Blush, W7 pallets, Soap and Glory skincare some Ciate nail polishes and a whole lot of Yankee Candles! I have also started working in a local bar in town for extra money which is so fun, feels like I’m on a night out but I get to earn money for it! So please bare with for the next week or two then expect a whole lot of blogging! 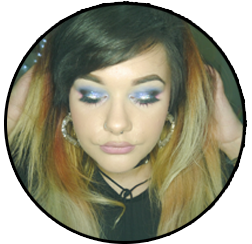 Posted on June 29, 2014 January 3, 2015 by sindyydollPosted in Life of SindyydollTagged bblog, bblogger, blog, cardiff, cardiff blog, house share, life, moving, student. Next Next post: Beauty Studio by Superdrug VIP bloggers and press launch. Review + Pictures!